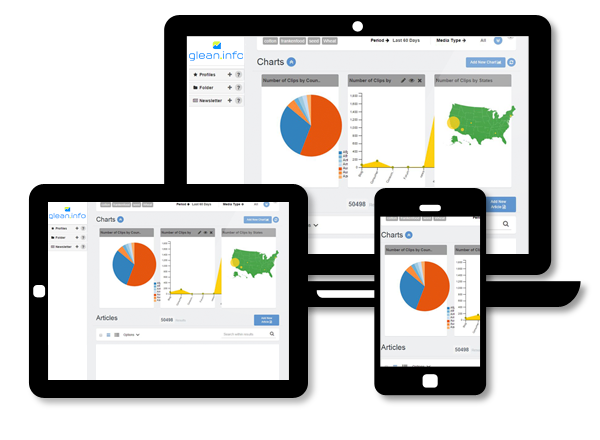 Media monitoring, media measurement, analytics and market intelligence for companies, not-for-profit organizations and government agencies. 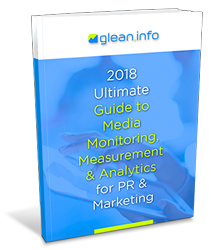 Glean.info serves all departments that benefit from news and social media monitoring and measurement including PR, marketing, public affairs, brand managers, country managers and the entire enterprise. Real-time monitoring of feeds from Twitter, Facebook, LinkedIn, Instagram and more than 60,000 global news outlets in 250+ languages in 191 countries. Brand and campaign monitoring across news, print, broadcast and all social media. Our new online communications dashboard offers a fully-integrated analytics solution customized to meet each client’s specific needs. The new Glean.info portal is intuitive and designed for ease of use. Complete media monitoring services across all types of social and traditional media. Our proprietary media measurement software and dashboard is designed to be adaptable to your needs. Daily and hourly email alerts provide a complete listing and quantitative data. Glean.info provides API access to all of its news archives. That’s 1 million articles per day from 65,000+ sources globally. 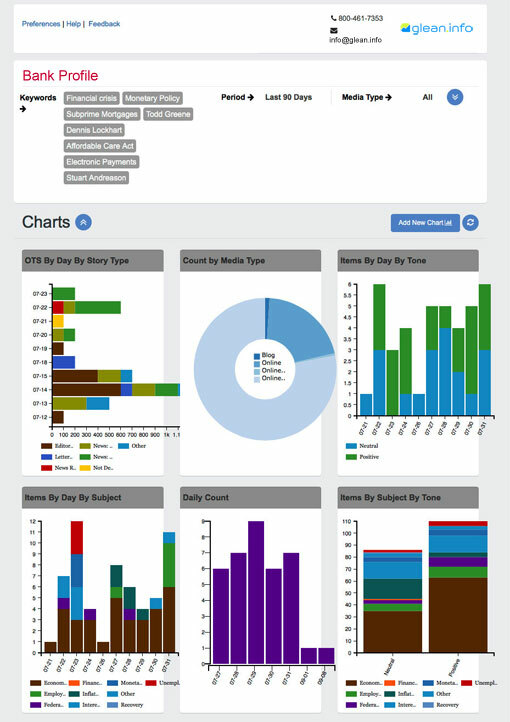 Media Monitoring with Integrated Analytics. 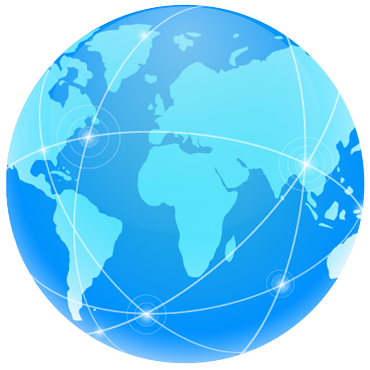 Online News – Near real-time collection of more than 65,000 online news sources from 191 countries in 250 languages. Blogs – Forums and Message Board: Over 5 million blog posts per day from 90+ million blogs, plus sites, forums and message boards from 300 countries in 137 languages. Video Sites – YouTube, Daily Motion and other video sites. Radio – editable preview video available. Get daily or weekly Executive News Briefs consolidating news into a custom-formatted newsletter based on your specific needs. You can build the briefs with our tools or you can work with our expert editors to develop the newsletter content your executives want. Glean.Info provides direct API access to our news aggregation service. Our proprietary software continuously collects headlines, full text and metadata of 1+ million newly-published articles each day from 65,000+ online news sources in 250+ languages in 191 countries. The news aggregation service is designed for use by media monitoring services, measurement/analysis services, and large PR agencies or corporations. The RESTful API supports multiple filters (source, publication dates, countries, languages) and full query construction to provide superb targeting of specific content or brands. 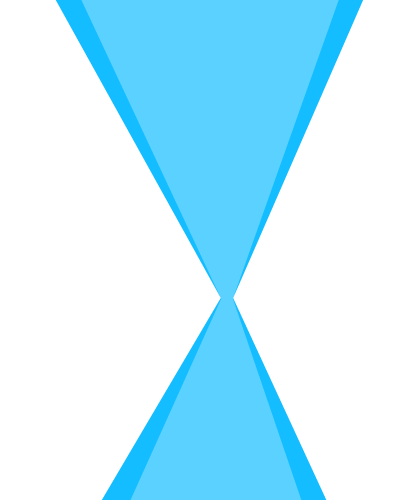 The API returns data in either XML or JSON. We strive to be an extension of your communications team by providing standards-compliant measurement of traditional and social media linked to your communications objectives. Our measurement framework is based on working with you to define strategic messaging, brand objectives and engagement that support your business objectives. We combine automated analysis with trained human analysts to provide you with both quantitative and qualitative measurement integrated across all media types. Glean.info now offers a new service that monitors 2,000 fake news sites.